You remember this console. If I reunited you with it today, you'd even remember how to blow into the cartridges to make it work. I hated everything about the Nintendo Entertainment System. I know. Those are strong words when you’re talking about an inanimate object, especially one that brought so much joy to so many kids. But we had a good thing going, and Nintendo absolutely demolished it, transforming the video gaming market in ways that I thought were regressive. Home computers were becoming mainstream. That is, kids who weren’t on the geek track were buying computers so they could play games, and then they were getting exposed to programming in a sort of back door manner. Because if you wanted to operate in the game-swapping culture of the time, you needed to know your stuff. Since elementary school, when my school district started bussing the kids who were good at math to the high school for programming classes, I had felt like a massive geek for knowing what I knew about computers. Watching the transformative effect that home computers had on the mass market was like seeing my geek path validated – it wasn’t just the dorks who were going to learn how to use computers. It was everybody and the dorks just happened to be a bit ahead of the curve. At least, that seemed to be the plan. The Nintendo Entertainment System came along and absolutely demolished that plan. With the NES, people could avoid computers entirely and go right back to consoles. I thought we were done with consoles – Atari, Intellivision and Colecovision all seemed like ancient artifacts at that point. I couldn’t believe the market was heading back toward consoles. All consoles did was play games. They didn’t hold databases of business customers or let you type up a homework assignment or encourage you to learn a programming language. And we were heading back to consoles. Not only that, but it was a notoriously unreliable console. Everybody who has ever owned a Nintendo Entertainment System knows The Ritual. It is a religious ceremony often taken more seriously than church on Sunday. It involves various iterations of blowing into game cartridges, trying various combinations of methods for inserting it into the console, and hitting the reset button. All the while, the kid wanting to play MegaMan or Zelda is praying to various combinations of deities that the game will actually work this time. Admit it. You did this. Sometimes The Ritual would work, sometimes it wouldn’t. What amazed me was how similar The Ritual was, no matter where you traveled in the country. When I visited my cousins on my Dad's side in New Jersey, The Ritual was pretty much the same. My younger cousin Timmy performed it for 20 minutes one day before he ragequit. From his knees, he turned his eyes skyward looking for answers. “It knows you’re a biscuithead,” my older cousin Al deadpanned. Biscuitheads. That’s what people who owned the NES were, to me. Non-programmers. People who didn’t appreciate the underground Commodore 64, Atari 800 and Apple II culture. And, of course, the biscuitheads took over the world. 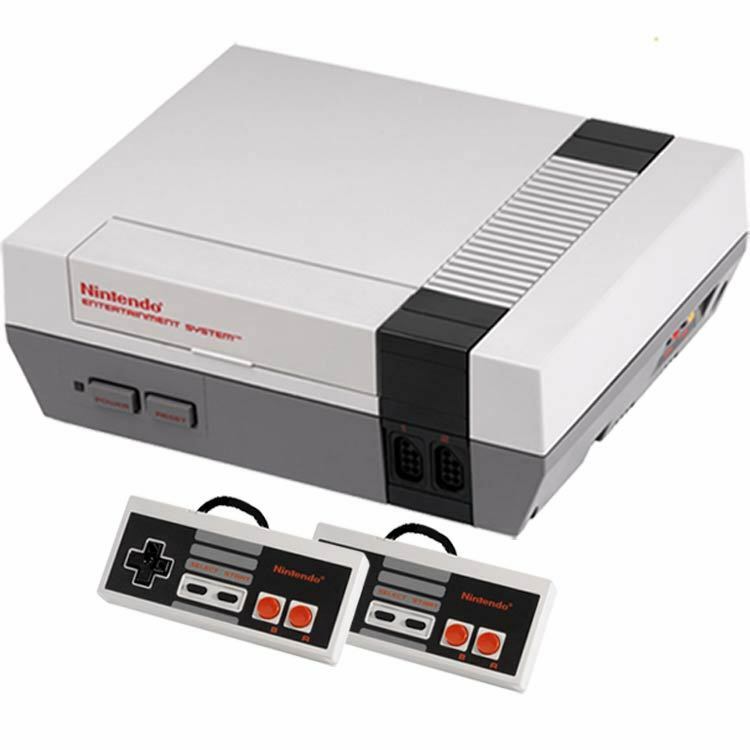 By 1990, 30% of American households had the Nintendo Entertainment System. The corporate executives at computer store chains were complaining loudly that the console business was siphoning off customers, and that nobody wanted disk-based games anymore. The market had completely shifted. We became biscuitheads when I was in the latter half of high school. NES was something my little sister Kim really wanted. Truth be told, had she not been interested in it, I would have skipped the console entirely. We hooked it up to the TV in the basement. My Dad had an enormous tube TV down there. After he had bought the TV at P.C. Richard & Son, it had taken three enormous, gorilla-sized moving men to get it down the basement stairs. They used thick moving straps to slowly and gently take it down, step by step, and when they got to the bottom of the stairs, they discovered the TV wouldn’t make the tight turn around the post the banister was attached to. So they knocked the post out with a sledgehammer and never put it back. For years, we didn’t have a banister on the right side of the basement stairs because of that gigantic TV. All the while, this tube TV’s megalithic screen made NES very enjoyable for my family. The first games we played came with the console. Light-gun shooting games had finally made it to the home, but the impact of that was lost on me. Duck Hunt was a “meh,” largely because I found it unchallenging. What really got me hooked was Super Mario Bros. My initial impression of it was that it was gimmicky. The game was littered with easter eggs – hidden power-ups, invisible free guys, side quests into bonus levels and all sorts of other secrets. But there was a subtle nuance to the controls. It was something about the ability to change the course of a jump in mid-air, and the knowledge of when to apply speed to your runs and jumps that made the game a whole lot of fun. This game turned me around and made me a fan of NES. What’s more, developing my skills on this game gave me the base skills to succeed in a franchise of Super Mario games that spanned from the mid- 80s all the way up through today, on multiple Nintendo consoles. Today, I can pick up a Nintendo Switch less than a year old, put in Super Mario Odyssey (released in October, 2017) , and be instantly familiar with it and how to play it. Super Mario Bros for NES came out in 1985. That is an amazing feat of longevity - most of my employees are younger than this franchise. Another testament to that longevity is the fact that Nintendo released a retro version of this console in late 2016, and couldn't keep them on retail shelves. It became the must-have holiday item, more than three decades after its initial release. In a way, I’m glad my sister was so eager to become a biscuithead. Our family was late to the NES game, just as we were to Atari, but if she hadn’t wanted the console, it’s possible that I could have stopped playing console games entirely. Even if I felt like a schmuck blowing air into a piece of plastic just to get my gaming console to work, I feel like it was important to be part of that Ritual, along with so many other American households. My NES experience wasn’t limited to my home life, either. Later at undergrad, I’d find plenty of other people who were Nintendo crazy like me. And I’d discover that many of them didn’t consider it a guilty pleasure, but part of their daily lives.